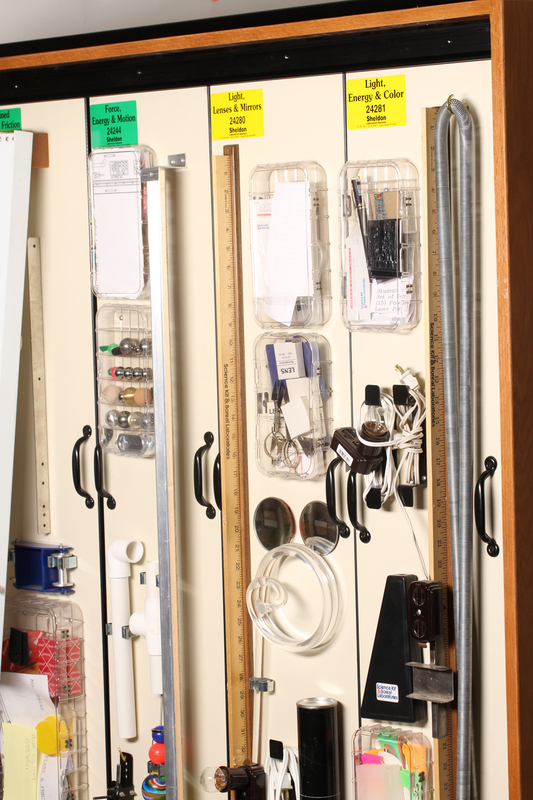 Sheldon’s Apparatus Panel System provides all the equipment necessary to organize class experiments, simplify inventory and save valuable class time. Multiple physical science experiments are available on these easy-to-handle boards that store in several different capacities for immediate use. Different panels signify different experiment types, but all come complete with the Panel Board Guidebook. Note: Each panel board furnished with a label identifying the board number and discipline. Labels for different panel disciplines are signified by color: red-heat, yellow-light, blue-electricity, and green-mechanics. In addition to the above panels, a one day in-service training program provided by a qualified Educational Consultant, trained and experienced in teaching hands-on physical science activities is available. In-service must be requested by customer and will be at an adjusted price, based on educational consultant’s fee. 24220 BLANK PANEL for the purpose of building your own apparatus design.